I’ve come across a number of forums online, where people are discussing whether one should accept a request from a recruiter on social networking sites like LinkedIn. Most people on these forums felt that, recruiters just build their network and add a few names to their database which he/she can later on boast about to his/her clients. Few others assumed that they do not need a recruiter, as they have no intentions of a job change; so why have a recruiter within the network now. Boost your chances of finding suitable job opportunities: It’s best to have a recruiter in your network no matter what your current plan is – whether you’re actively looking for a new job, just keeping your options open or haven’t really thought of a job change yet. Recruiters have direct access to hiring manager and HR managers, you don’t have to rely on job boards to get you your next best career opportunity. If your recruiter has a job opportunity he will approach you himself, because after all your conversations with the recruiter, he now understands your career really well. He knows your strengths and weaknesses, he understands your personality and what kinds of work culture you would fit into and therefore they would approach you with a job opportunity that he believes is the best for your career graph. Get an insight of the latest trends in your industry: Having a recruiter in your circle increases the chances of you knowing what the current job scenario is like in your industry, what are the current hiring or salary trends. Recruiters speak to several candidates similar to you every single day. They have the most realistic understanding of the sector. Having a recruiter in your network is like having a crystal ball that gives you an insight into what is actually happening within your sector, be it people moving jobs, companies doing well, hiring, laying off, future trends etc. all this information in turn helps you plan the next course of action. Leverage on their large network: You maybe of an opinion that being in the industry means you can beat a recruiter in the number of contacts he has within the industry, but that may not be true. Like I mentioned earlier, networking and connecting with star performers within their niche is part of a recruiter’s every day routine, Be it – hiring managers, HR manager or professionals who may or may not be actively looking for a job. By no chance one can say that their network is bigger than that of a niche recruiter. Having a recruiter within your network means indirectly having access to his/her vast network of professionals from your industry. They know employers better than you: Recruiters are constantly speaking to hiring managers and have successfully filled positions for their clients. Having worked with employers several times, filling key positions has helped nurture trust worthy relations between them and their client. Recruiters not only understand the roles they are working on but also the employer’s company culture, work ethics as they have worked with the client for a while. Companies trust their recruiters and most importantly listen to them and consider them as trusted advisors who are there to help them fulfill their hiring needs. Candidates that are shortlisted by them are therefore considered to be the best fit – qualified, interested & motivated and not just picked randomly from a job portal. Not all jobs are on the portal: Many times it so happens that when we are exploring job opportunities, we look up job portals. But, let me tell you this, not all jobs are posted on job portals. Sometimes vacancies are given to a specific recruiter exclusively and these jobs are not found on any job portal. Recruiters headhunt for the best candidates from within their existing contacts, professionals whom they have been speaking to for a while and have understood their career and career aspirations and therefore can confidently place them before their clients as candidates. Recruiters don’t just find you jobs: You don’t need a recruiter only for a job; recruiters are more than just that. Recruiters are career advisors, mentors, confidantes. They could help you understand what’s in store for your industry incase it’s not doing well. Sometimes a recruiter can help a family member in his career move, guide your child for his first interview, advise you on how to negotiate an offer, prep you on how to resign from your current job, how to tackle a counter offer and so many other important aspects related to careers. The evolution of technology and social media has brought the world closer; today people are more accessible and easily approachable. However, that doesn’t mean you don’t need recruiters. Recruiters are more than just human job boards. Having a recruiter in your database means having a career coach, friend, confidante who will guide you along your career. Every month, Antal is welcoming new franchise owners to its global network and Antal International India is pleased to welcome 3 more owners who joined our growing network in April 2016. 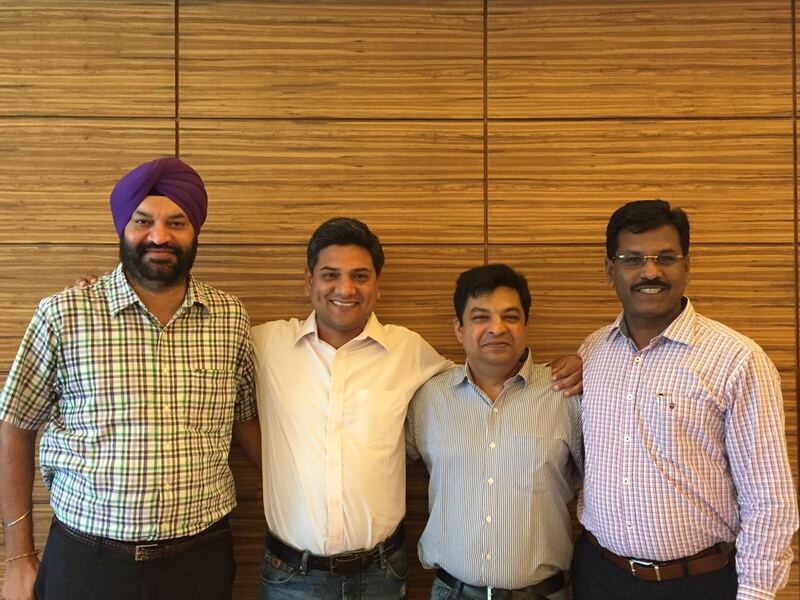 Currently with 44 offices in India, Antal hopes to exceed 100 offices in India by 2020. 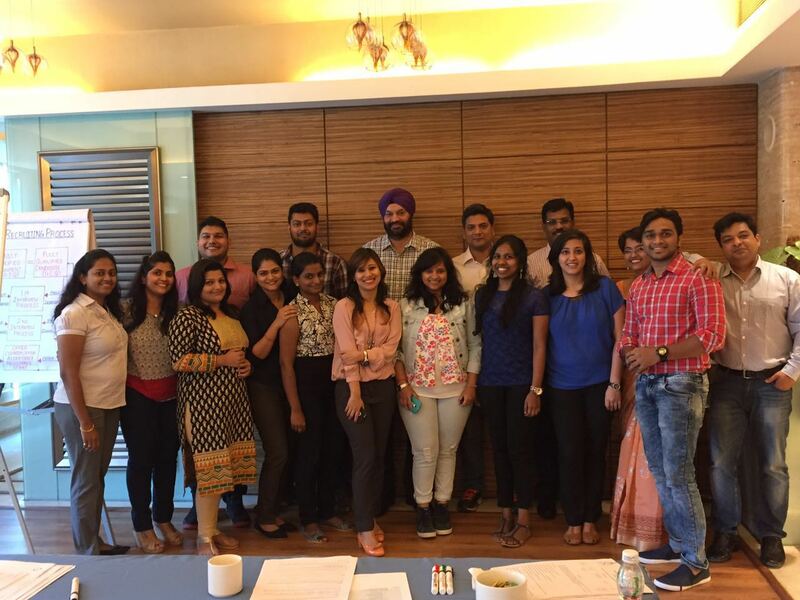 The April 2016 Induction class saw professionals from different fields turning into recruiters and embarking into a new entrepreneurial journey with Antal. About Antal: Antal International Network are a global Executive Recruitment firm combining permanent, temporary, interim and contract recruitment solutions launched in 1993 by Mr. Tony Goodwin. Headquartered in London, Antal today has over 130 offices in 36 countries. Antal International entered the Indian markets in late 2006. Our 1st franchisee Mr. Joseph Devasia established his business since Jan 2007, being extremely successful in the initial years. Antal realized immediately that this was a goldmine waiting to be explored, hence in late 2008; Doug Bugie who was then CEO at Antal International Network floated the idea of franchising further in India and suggested that Joseph could enter into a JV with Antal to help expand its footprints further in the Indian recruitment industry. The 18th edition of the Antal Global Snapshot on the hiring and firing trends covering more than 9,500 organisations in 30 key countries has found job prospects for professionals and managers continuing to improve. The ‘Global Snapshot’ project from the international recruitment firm, Antal International, asked 9,570 companies in major markets whether they were currently hiring at professional and managerial level. It then asked whether they planned to do so in the coming quarter and whether they were currently letting staff go or were planning to do so in the next three months. Current hiring across the globe was up from 68% of respondents in January 2015 to 70% now. 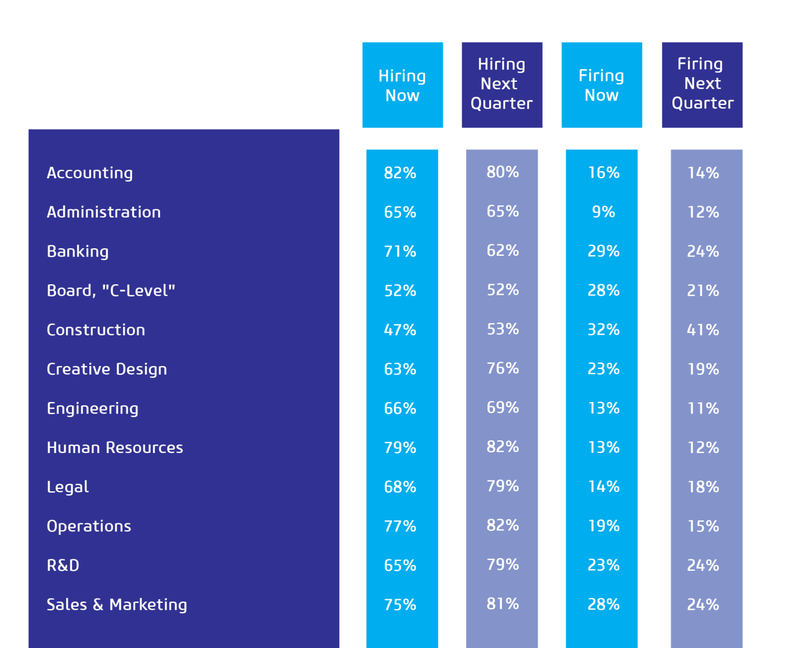 And the percentage of organisations intending to hire in the coming quarter was also up from 66% to 68%. At the same time the percentage of organisations intending to shed staff had fallen from 24% to 19% now. As recruitment experts, Antal recruiters possess a depth of market experience and knowledge that enables us to procure the best talent for your business. We’re able to operate within shorter timescales, with full understanding of your requirements – leading to better, faster and more successful placements. If you are looking for exceptional talent to join your team, visit our website to find your nearest Antal recruiter. Are you based in or around Delhi and are looking to become an Entrepreneur? If you are at the FRO Delhi, Pragati Maidan, visit us at Stall No 201 and meet the Antal India Team. Our team will speak to you in detail as to how you can start a profitable recruitment business with Antal International in India. The Antal International Group of Companies has been operating for 22 years and was founded in 1993 by Tony Goodwin. Antal had been tried, tested and proven through a number of successful ‘Company Owned’ offices before franchising the brand in 2002. Someone has rightly said that don’t wait until the conditions are perfect to begin. Beginning makes the conditions perfect. So, beginning your career once again at 40 and providing franchising avenues to others too, can be a great opportunity. Here, experts from the HR (Human Resource) and recruitment industry tell you that why taking a plunge in the sector after 40 can be a wise choice. Your experience: By the time you are 40 years old, you have gained enough experience in the market – this gives you an edge over many recruiters who recruit with no industrial knowledge. You know the industry by its length and breadth, you understand what talents and skills are required to fill a role, you know how the remuneration cycle works within that industry, you understand the role, you know the kind of talent that is available in the market. Your Network: During your tenure with a particular industry, you’ve probably met all the movers and shakers within your industry and that again gives you the edge over your competitors, you have more personal and professional connections to take advantage of. Aside from the connections you already have, you’re decades ahead of the competition in terms of interpersonal skills. Take networking events, for example. You’ll often see familiar faces at these gatherings–it’s almost like you’re all in a support group together. Plus, consider all the referral opportunities that you have to your disposal. Six Degrees of Separation really don’t apply in your case. 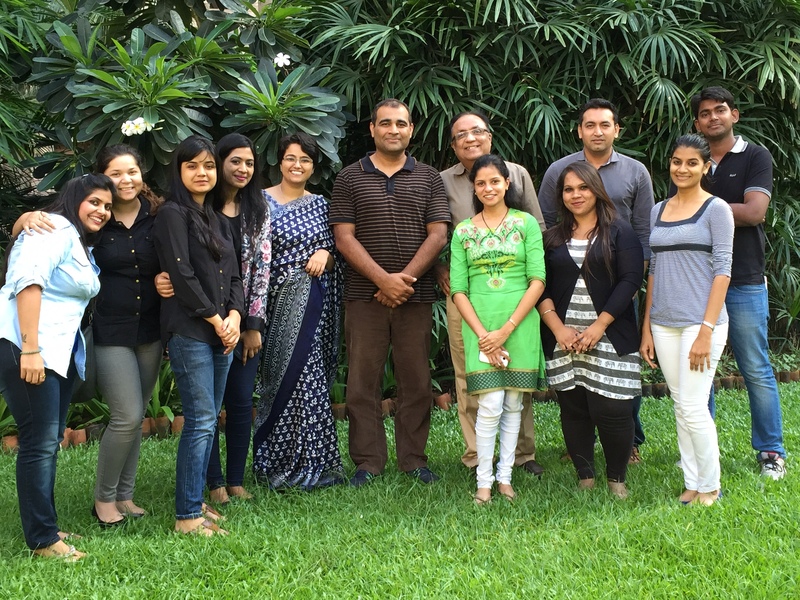 Mumbai-based, Talent Corner HR Services Pvt. Ltd is one such organisation that truly supports individuals aspiring to do big after the age of 40. Rashesh Doshi, MD of the company comments: “I joined this business when I was 20 and now I am 32. However, most of my team members who are successful are either 40+ or are close to touching their 40’s. These people are a very important part of my leadership team and my decision making process. Clearer Goals: Most People above 40 have clearer goals and therefore instead of going for long leaps they understand the importance of baby steps. It is this attitude that helps them do well. Relationship Management: Young People have their own set of challenges revolving around life and therefore they tend to lose sight of the importance of managing relationships with their clients. The Older you get, the more you start valuing this. Most people who understand the concept of relationship management will infer that recruitment is not a transactional game but its success lies in being able to manage relationships. Sense of Maturity: Any candidate is more comfortable being interviewed by a matured person, who understands the importance of that conversation. Maturity also gives the recruiter an ability to have more rationale and reasonable conversation with the client. The client usually gives a more patient hearing to someone with experience of life.